California Rain is the last single from our beloved The Voice judges The Madden Brothers and continues to deliver their new sounds. The track is a mid-tempo catchy number that we can't help but sing along. 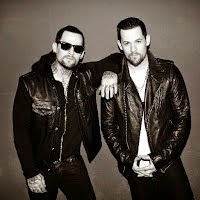 The track is taken from The Madden Brothers long-awaited debut album Greetings From California on October 7th which is split into two “sides,” the first filled with upbeat, sunny pop-rock and side two is an earthy blend of folk, Southern rock, and ’70s-era FM pop. Check out the new track below and let us know your thoughts? Grab your copy on iTunes now..!